To find out more about Year 2’s curriculum, please click on the current newsletter below or speak to your child’s class teacher / Year Leader (Miss Ball). We have so much news to tell you this week it dosen’t quite fit in this section!! – Please click here to read it. 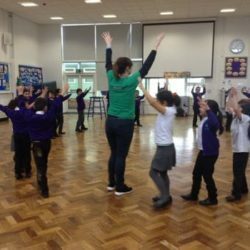 On Thursday 8th March, year 2 had a visit from an artist called ‘Giggle.’ During the day, Giggle taught the children how to use their bodies and movement to help them to learn multiplication facts for the 2, 3, 5 and 10 times tables! 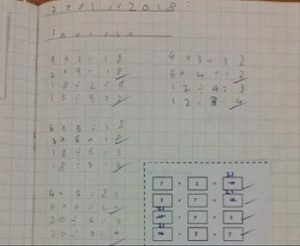 The children used different actions to help them to remember the times tables and to create multiplication sentences. 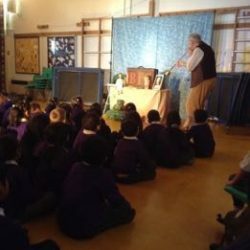 On Tuesday 20th March, Year 2 enjoyed a fun filled afternoon with a storyteller called Mr Pedley. 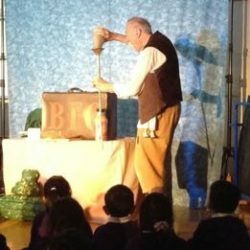 He performed a dramatic reading of ‘The BFG’ using story props and sound effects. 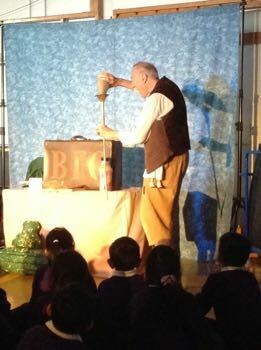 The children had a great afternoon and particularly the part of the story when the BFG drank frobscottle. Here are some pictures from our afternoon! 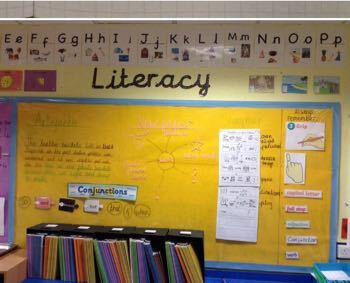 Click HERE to see our fantastic Space Displays that we have created this half term. Each week we will ask a member of staff in Year 2 to share their favourite books with us all and tell us why they enjoyed them so much. 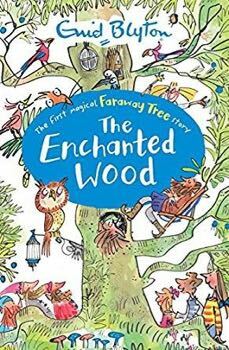 My favourite children’s story is ‘The Enchanted Wood’ by Enid Blyton. I fell in love with this book after reading it with a previous Year 2 class. Every time we read it we were transported to a completely different and magical world! The story is about three ordinary children that move to the country. One day they decide to go exploring and discover a deep, green forest. Inside the forest they notice a magnificent looking tree. They start to climb up the tree and quickly bump into all sorts of interesting characters along the way. When they reach the top of the tree different magical lands are revealed, each one bringing its own different adventure. One of my favourite stories is ‘Shark’s Big Surprise’ by A.H Benjamin. I first read this at home with my nephews and we loved the surprise at the end of the story. Shark is feeling very lonely and upset that no-one wants to play with him. Shark makes a plan and goes out in search of some new friends but scares them when he pounces and scoops them into his bag. When they get to Shark’s house, there is a surprise in store. This book has lots of repetition and exciting vocabulary so it is great fun to read. 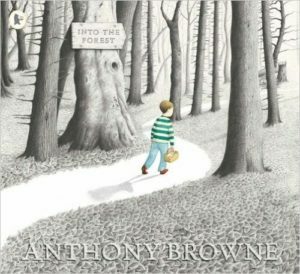 One of my favourite books is ‘Into the Forest’ by Anthony Browne. 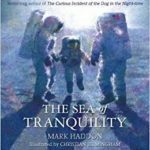 I first read this book as a bedtime story when my own children were young. The story starts with a lightning storm and a little boy who is worried as he doesn’t know where his Dad is. He sets off across the forest to visit his Granma and, on the way, he meets all kinds of fairytale characters. I love this story as it is full of mystery and excitement and the illustrations are amazing. If you look very carefully, you will find many hidden pictures amongst the pages. Why don’t you read the book to find out how it all ends up? 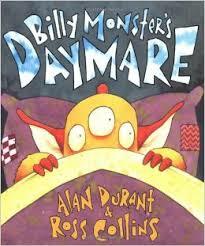 My favourite story is ‘Billy Monster’s DAYMARE’ by Alan Durant. I discovered this book last year with me previous class during reading week. I love reading this book with children and it’s great to know that even monsters get scared! During the night, Billy Monster wakes up screaming because he had a daymare. He had been dreaming about a child! Daddy Monster tries very hard to help Billy Monster to sleep. He gives him a cup of cold slime (eughhh! ), strokes him soothingly and checks behind the curtain and in the cupboard. Finally Daddy monster reads Baby Monster a story about a brave, little monster and he happily falls asleep. Everyone loves bed time stories… even monsters! Each week we will ask a member of staff in Year 2 to share their favourite books with us all and tell us why they enjoyed them so much. 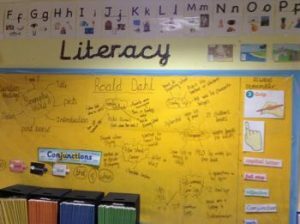 This week Miss Uddin tells us about one of her favourite books. One of my favourite books is ‘We’re Going on a Bear Hunt’ by Michael Rosen. 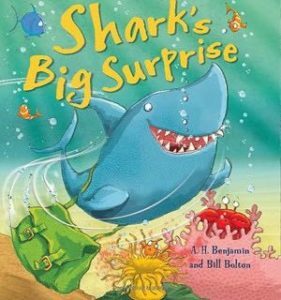 I discovered this book in year one and I loved reading it with my class, especially with all the different sounds; splashing and squelching. I later bought this for my cousin and we love reading this book together. A family decide to go on an adventure wading through grass, splashing through a river and squelching through mud in search of a bear. A surprise awaits them in the cave on the other side of the dark forest! A dramatic and comic masterpiece….Beautifully produced, written and illustrated, this is a classic. Each week we will ask a member of staff in Year 2 to share their favourite books with us all and tell us why they enjoyed them so much. 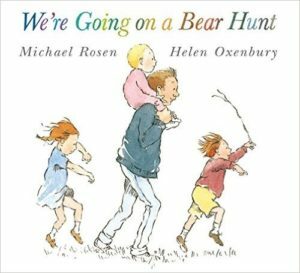 This week Mrs Ali tells us about one of her favourite books. 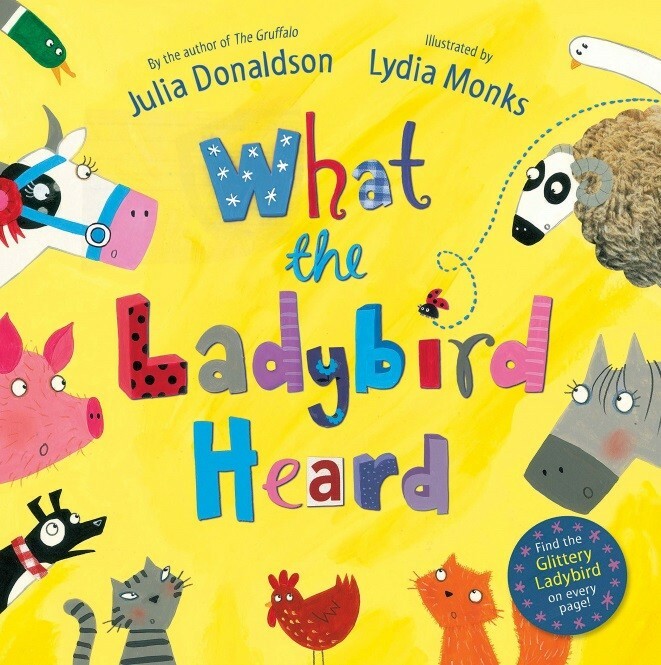 My favourite book is ‘What the ladybird heard’ by Julia Donaldson. I bought this book for my daughter and we spent many, many evenings reading it over and over again, doing impressions of animals. Hefty Hugh and Lanky Len to steal the prize cow from their farm. The animals unite with hilarious results to foil the thieves. 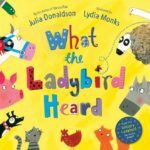 Children can follow the sparkly ladybirds trail through the farmyard as she whispers her plan, to save the day, to the animals. This is a beautifully written story with excellent illustrations, one of the best books by a brilliant children’s author. This week we have been focusing on making amounts of money and giving change and have learnt lots of wonderful facts about the life of Roald Dahl. We are really proud of our well written, funny and creative Enormous Crocodile stories that we completed last week! 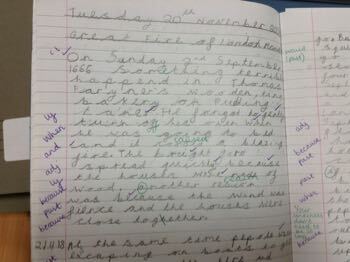 We have been working hard on improving our handwriting too! 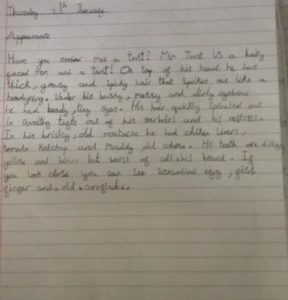 Next week we will be writing a biography based on Roald Dahl so this week we have been busy researching fun facts about him using ipads and books. Did you know that Roald Dahl was a pilot in WW1? 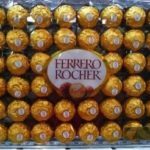 He also worked as a chocolate taster which inspired him to write Charlie and The Chocolate Factory! Our theme for this term is caring so we have been thinking of different ways we can care for others. 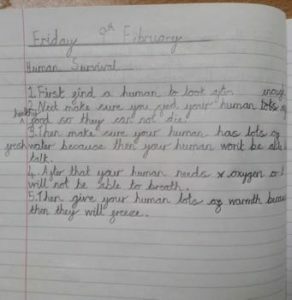 We have been continuing to learn all about the life cycle of humans and different animals. Please continue to read the homework set each week as we discuss what we have read in class. 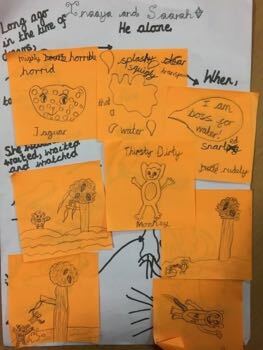 This week we have been story mapping the story and have been thinking about the each different character’s emotions and behaviour and how we can justify our opinions by using the text as evidence. We have had so much fun creating paper Enormous Crocodiles and Roly Poly Birds! I’m sure you’ll agree they look amazing! We can’t wait to create more of Roald Dahl’s fantastic characters! 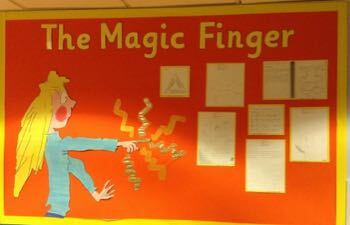 We have been looking at the magic finger in our reading lessons and have completed some amazing work. Look at one of our displays! We have been predicting and using inference to answer questions. We have also each taken a copy of the book home to complete our homework. Numeracy: During Numeracy we have been looking at money. More recently we have been working hard to make amounts in different ways. We know how to partition our numbers and exchange one coin for others to make the same amount. Science: Our science topic is healthy living. So far we have looked at the human life cycle and our senses. We have all come up with questions that we would love to find the answer to by the end of the topic. 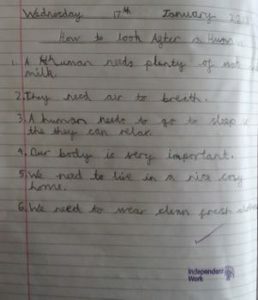 RE: We are finding our RE topic very interesting. We are looking at different religions including – Islam, Judaism and Christianity. We have found out that although religions have differences – when we look at caring for others – all religions want the same… to help each other and care for one another! We have learnt that even if you are not religious you still want to care and help other people. During Literacy lessons we have looked at the book by Roald Dahl the Enormous Crocodile. 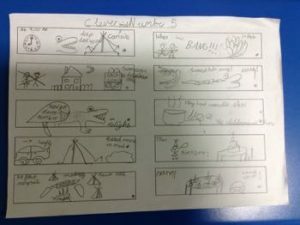 The crocodile in the story played 4 clever tricks on the children in an attempt to eat them so we wrote ‘Clever Trick Number 5’. We came up with some awesome ideas for what the crocodile could disguise himself as! 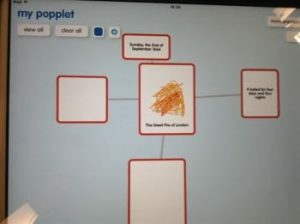 We created our own story maps to work from. These really helped us to write accurate sentences within our stories. Here is one example of a story in Year 2. Wow! What an eventful and busy half term we have had! 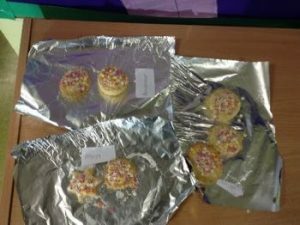 We have had visits from the fire service, have made bread, watched a pantomime and finally the children have baked biscuits for their Rainbow Homework prize. 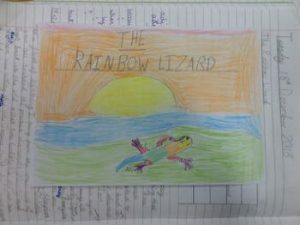 This week in Literacy, the children have invented their own stories based on the Rainbow Bird. They have all worked extremely hard and have even created their own front covers! In Numeracy, we have been learning to tell the time at o’clock, half past, quarter past and quarter to. Please help your children to read the time using your clocks at home! 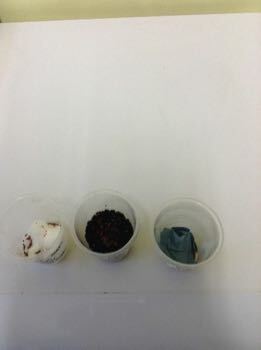 In Science, we have observed growing to investigate what were the best conditions for it to germinate. 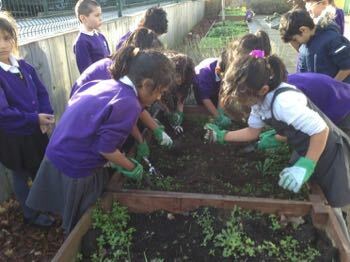 We found that the cress needed compost, light, water and warmth. Thank you for all of your support this term. We hope you all have a wonderful break and we will see you in the New Year! 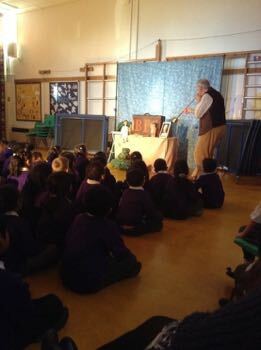 In Literacy this week we have been learning about folk tales. 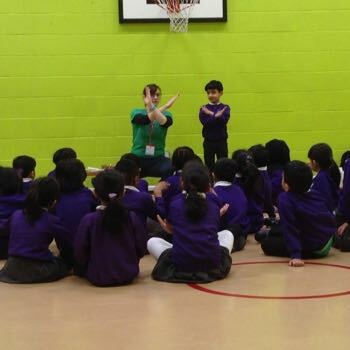 We learnt a story called The Rainbow Bird and practised performing the story in groups to the rest of the class. We have also developed our own version of the story and chosen new characters of our own. 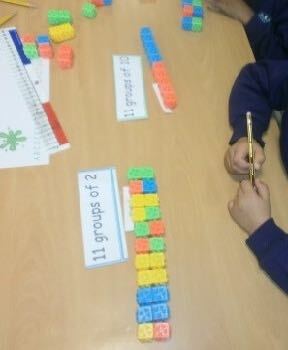 In Numeracy this week we have been partitioning numbers into tens and ones. We have looked at how many different ways we can partition a number. Furthermore, we have been investigating statements and using our Mathematical knowledge to find out whether statements are true or false and explained why by finding out the answer to each statement. 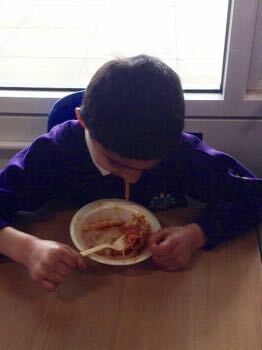 In Science we started our very own investigation. We planted cress seeds and we are going to find out which conditions are the best for cress to grow in. We planted seeds on paper towels, in compost and in cotton wool. 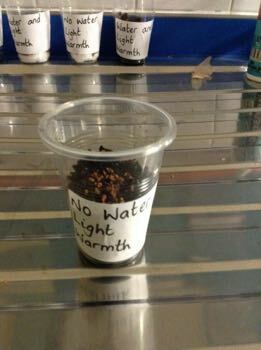 Some had water or no water, light or no light and we even put some in the fridge to see if they will grow! Next week we will find out how much the seeds in each of the conditions have grown, if at all. Literacy: This week we have travelled back in time and become newspaper reporters in the Great Fire of London. We have learnt that a newspaper report works best when it has a headline and includes time words, facts, exclamation and question sentences. We followed a story map to make sure we didn’t forget any important bits of information. 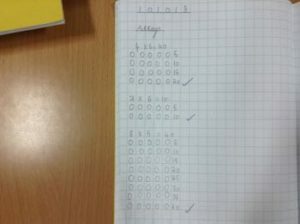 Numera cy: We have been working on our multiplication facts in numeracy this week. We have learned how to write commutative and inverse calculations. We have used these skills to help solve missing numbers. Topic: We had lots of fun learning how to make bread. We found out that to make bread you need 4 ingredients; flour, water, salt and yeast. 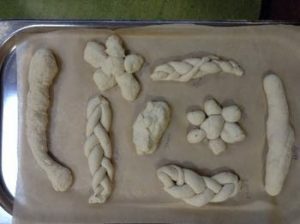 Yeast is a really important ingredient as it helps the dough rise. 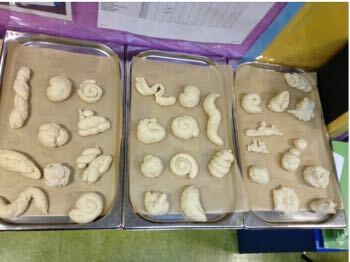 We enjoyed needing and shaping the dough into interesting shapes. 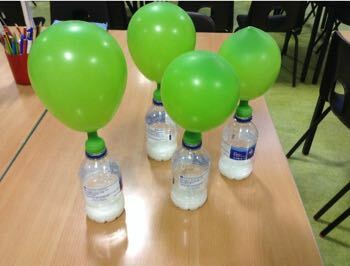 Science club: On Tuesday we used vinegar and baking power to inflate balloons. 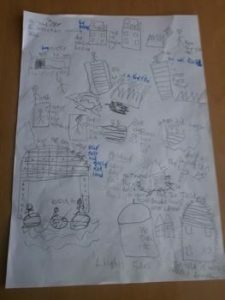 We discovered that the balloon inflated because the vinegar and baking powder reacted together and gave off carbon dioxide..
Literacy: This week in Literacy we have been using our story maps to write a recount of the events in the Great fire of London. Some of us shared a story map whilst others did our own separate research to create our own. Here is the beginning of a recount by Anabia Umair. 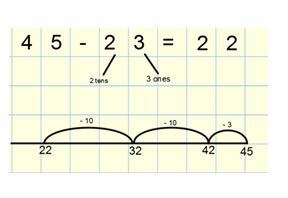 Numeracy: We have been using number lines to add and subtract two 2-digit numbers in Numeracy this week. To secure our knowledge we have been answering some reasoning questions. 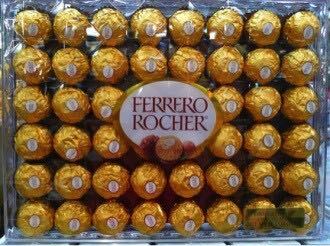 We have had to ‘find the odd one out’ and ‘find the mistake’. This is one example of a reasoning question answered by Maryam Narine. Design and technology: After making our diva lamps at the beginning of the half term for our fantastic Diwali assembly we were able to evaluate them this week, saying what we liked and what we would change. 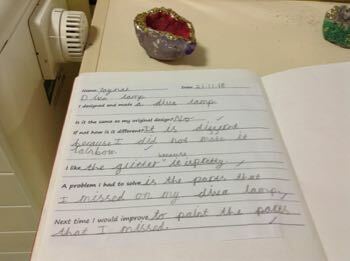 This is a Diva lamp and evaluation by Zaynah Shafiq. Science: We are continuing to observe our bulbs that have been planted in science. 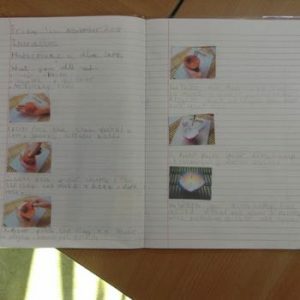 We are making a bulb diary of our observations and we have drawn our observations of the bulbs so far. 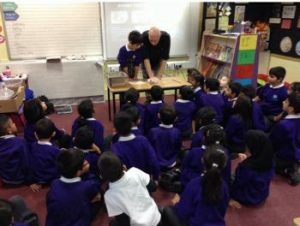 ICT: This half term in ICT we are researchers and we are eventually going to create a presentation on the Great fire of London. This week we experimented with our new app popplet and started to make a popplet of the Great fire of London on our iPads. We have much more to add but had lots of fun experimenting with text, drawing tools and colours. Exciting events! 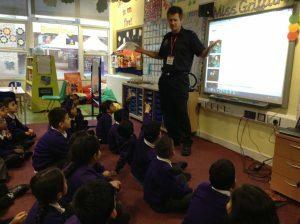 : Every week this half term classes are taking it in turns for a fire safety talk from firemen from Luton fire service. This week was the turn of Jupiter class and we thoroughly enjoyed our visit from firemen Tyron, Keiran and Paul. They told us what number to call in an emergency, what we should do in the event of a fire and how to stay safe. We were also lucky enough to look at their fire engine and all of the fascinating things that are inside! On Monday, we had a very informative and factual day where we learnt all about Parliament. 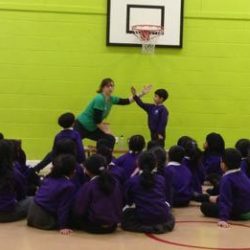 During Parliament day the children learnt about democracy, importance of voting, asking questions and debating. In Literacy, we have been learning about the Great Fire of London. 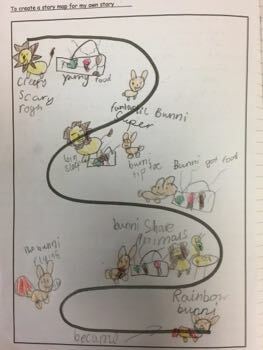 The children have been making predictions and story mapping the key events. 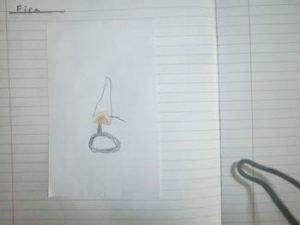 We also watched a flame and made some observational drawings. Here are some examples of some fantastic story maps. In Numeracy we have been learning how to add three 1 digit numbers and number bonds of 10 and 20. On Monday, we were busy learning about the festival of Diwali in preparation for our Diwali assembly. The children created fire work pictures, rangoli patterns and diva lamps. 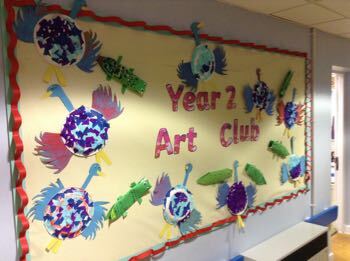 You can find some examples of their work on our school’s twitter page! In Numeracy, we have been learning about fractions. 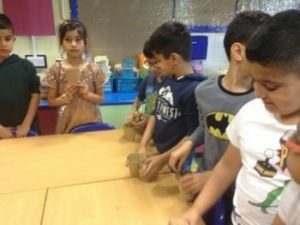 The children have enjoyed investigating how to find halves and quarters of shapes, numbers and groups of objects. 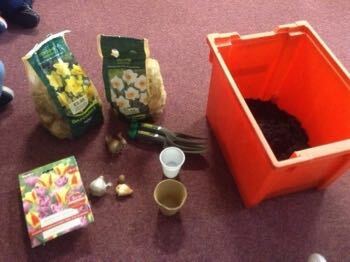 In Science this week, the children have enjoyed planting bulbs in our own planting boxes. 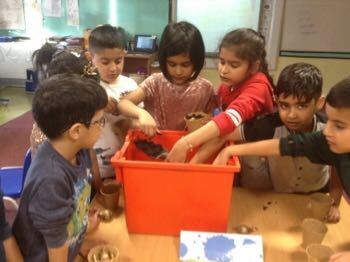 We are looking forward to observing them grow and finding out what are the best conditions to help a bulb grow. The children and year 2 teachers would like to say a big thank you to all of the children’s family and friends who came to watch year 2 in their Diwali assembly on Thursday. We hope you all enjoyed it just as much as we did! In Literacy this week we have been learning about poetry. We learnt a poem called Bonfire Night and practised performing this in pairs to the rest of the class. 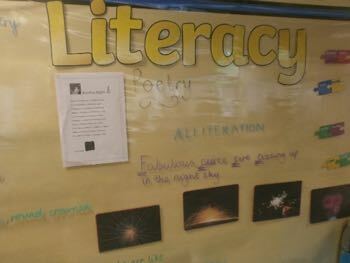 We have also found out what alliteration is and had a go at writing our own poems about fireworks using similes. 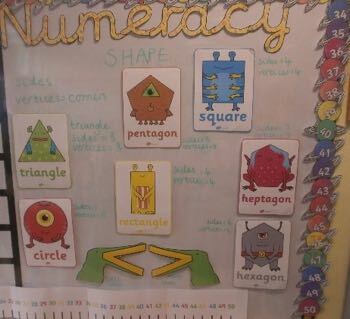 In Numeracy this week we have been finding out about 2D and 3D shapes. We learnt a new word, vertices, which means corners and had a look at some 2D and 3D shapes and the properties of each shape. We also discovered that some 2D shapes have lines of symmetry and some do not. 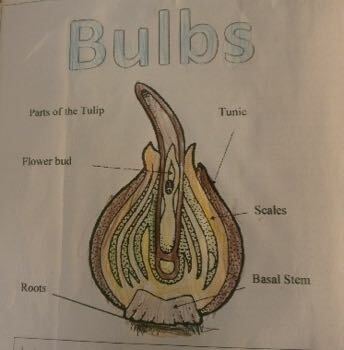 Our new topic in Science is bulbs. 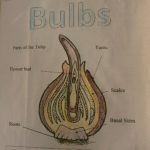 This week we looked at the different parts of a bulb and how they are different to seeds. We drew our own pictures of a bulb and labelled them with the different parts. 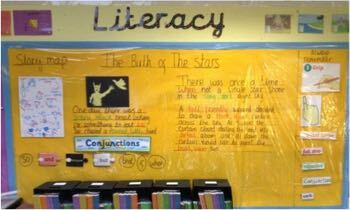 Literacy: This week we have been retelling an ancient myth called ‘The Birth of The Stars’. The story is about a wizard that casts a curtain across the sky. Then some artists had the idea, to throw shadows of birds and beasts onto the curtain to create a wonderful picture show. To learn the story, we used a story map and lots of actions until we felt confident and ready to write. 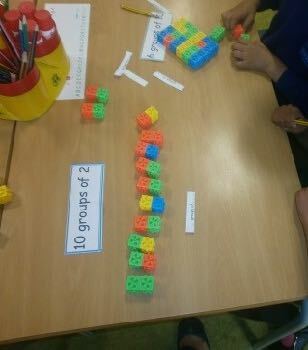 Numeracy: Over the last couple of days we have been learning how to divide. 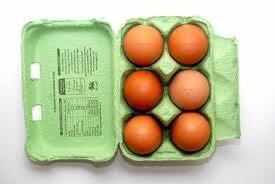 The simplest way we can show this is by sharing an amount into equal groups. So if we are dividing by 2 we draw 2 groups and then share the amount equally, if we are dividing by 5 we draw 5 groups and then share the amount equally and if we are dividing by 10 we draw 10 groups and then share the amount equally. When we got confident doing this we started to look at commutative calculations. 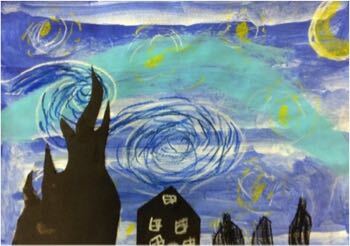 Art: This term we have really enjoyed learning about the famous artist Vincent Van Gogh. We have experimented how to use a range of different mediums, such as; charcoal, acrylic paint, oil and chalk pastels. We are really proud of the final results! From all the teachers in Year 2, we hope you have a lovely half term. This week we have been working very hard. 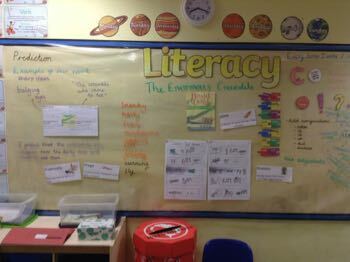 We started a new unit in Numeracy and have finished off our Literacy unit. We wrote our own stories, pretending we were the boy from the book. 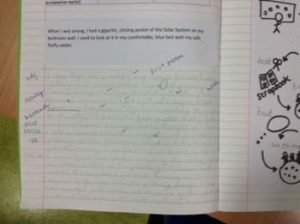 We used a story map and actions to help us with our piece of writing. Numeracy: This week, we began looking at multiplication and have been amazing! We have been drawing arrays in our book to help us understand what it actually means to multiply a number. We looked at the 2, 5 and 10 times table. For example 8 x 5 means 8 groups of 5. 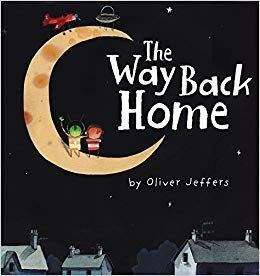 Reading: In our reading lessons this week, most of us have been looking at the book ‘The way back home’. We made predictions about the story from a word cloud, inferred a character’s emotions and also created our own version of the story in the form of a postcard. Week ending – 28th September 2018. It has been a busy few weeks in year 2 and we are continuing to enjoy our topic all about space! In Literacy, we are studying the text ‘The Sea of Tranquility’ by Mark Haddon. We have using the language from the text to retell stories using story maps and use conjunctions to discuss the character in the story. 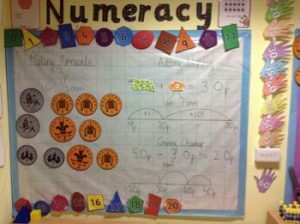 In Numeracy, we have been learning to count forwards and backwards in tens from any 2 digit number and using number lines to add and subtract 2-digit numbers. Below are the steps we follow for if you would like to practise at home with your children. 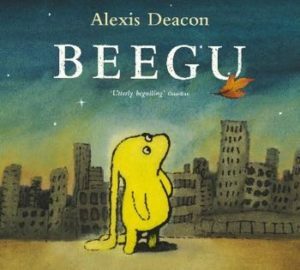 During our reading lessons we have been studying the story of ‘Beegu’ by Alexis Deacon. The children have enjoyed making predictions, participating in discussions, discussing Beegu’s feelings and giving their opinion about the story. I am sure, if you ask them, that they will enjoy telling you all about the story! 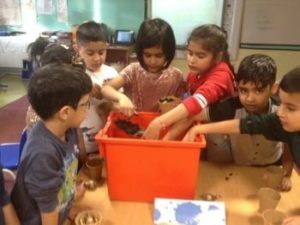 In Science, the children have been exploring the properties of everyday materials. We enjoyed discussing what the problems would be if objects were made from different materials. For example, what would happen if we put hot tea into a chocolate teapot? The year 2 teachers are amazed by the rainbow homework we have received so far and we cannot wait to receive more! 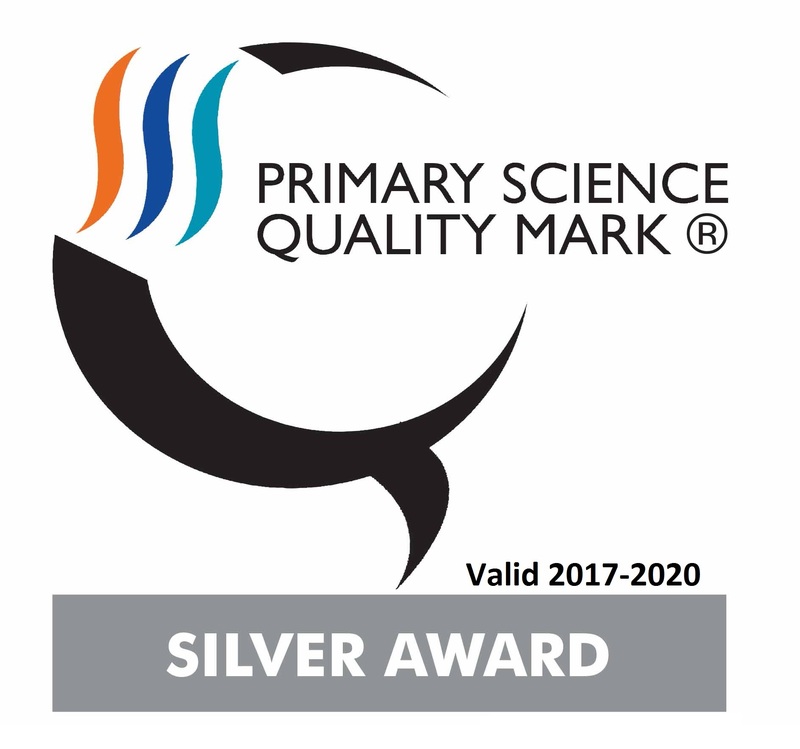 Lots of children have now received their bronze reading certificate and are now working towards their silver award! Well done and keep on reading! We have had a great first week in year 2! 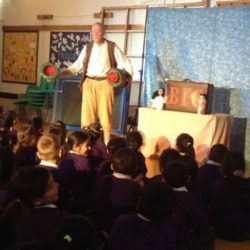 The children have settled well into the routines of year 2 and have made lots of new friends in their new classes. This week we have started to explore our new topic of ‘Space.’ On our wow day, the children had fun creating planets and finding out all about Space. This week the children have been busy writing facts all about space and remembering to write accurate sentences. In Numeracy, the children have been exploring 2 digit numbers. 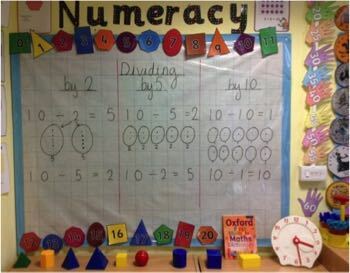 The children have learnt how to partition numbers into tens and ones and represent these numbers using dienes, number lines, bead strings and lots of other fun resources! All children should now have received their new spelling, homework and home school reading books. I look forward to meeting many of you next week at our meet the parents meeting! In Numeracy, we have been busy exploring 2D and 3D shapes, finding fractions of shapes and numbers and using the 4 operations of number to solve problems. 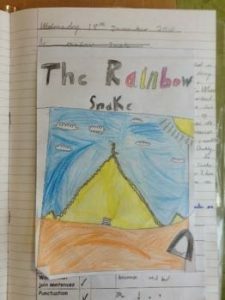 We have received some fantastic rainbow homework this term and we are looking forward to seeing more of the children’s work next half term! Welcome back and Happy New Year! We have now started our new topic ‘Roald Dahl.’ Over the term, we will be studying different Roald Dahl stories. The children have received their new rainbow homework and copy of ‘The Magic Finger’ to support their homework. 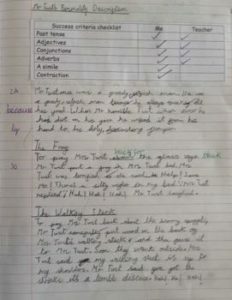 Last term the children’ homework was fantastic and we can’t wait what the children will produce this term! 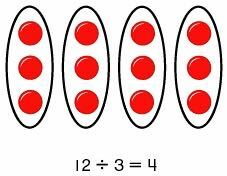 Next week we will be applying this strategy to help us to solve missing number problems! 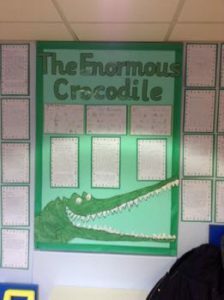 In Literacy, we have been studying the story of ‘The Enormous Crocodile’ by Roald Dahl. 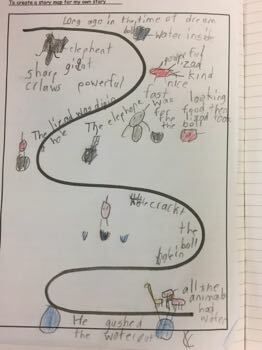 The children have collected vocabulary to help them to describe the crocodile’s personality and to describe how he moves. 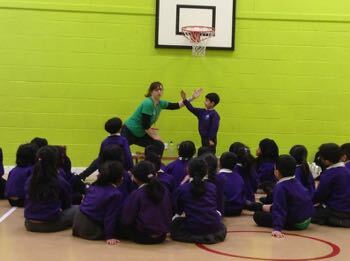 The children have enjoyed creating and acting out their own trick to help the crocodile to eat the children! 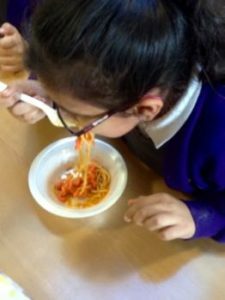 Year 2 have had a busy start back this half term! 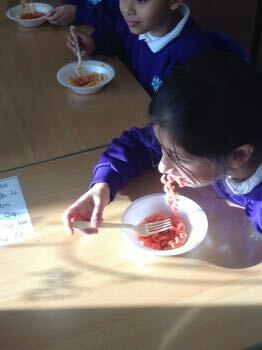 The children have been working extremely hard and are enjoying our new ‘Fire and Light’ topic. Last week in Numeracy we revisited strategies for multiplication and division. The children developed their understanding of multiplication and division. 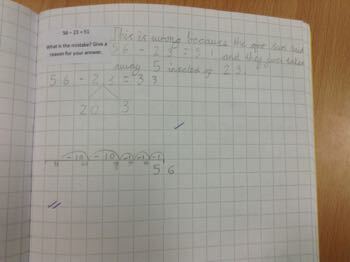 They used this knowledge to help them to show the inverse, to find missing numbers and to solve problems too! The children worked with their partners to retell their new tale. Finally they wrote their new tale using story language, conjunctions and adjectives. What a great job they all did! This week in Science, the children have been planting bulbs. 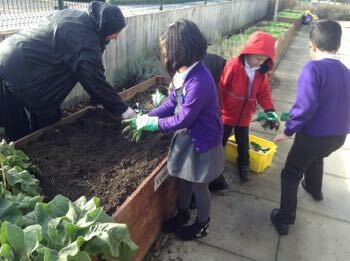 We have planned an investigation to test the best conditions that the bulbs need to grow. We will be observing out bulbs closely over the next few weeks – we will keep you updated with our observations! 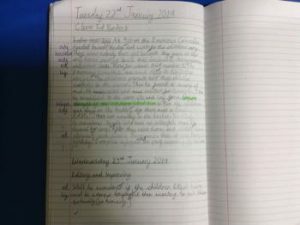 In our reading lessons we have been exploring the text ‘What do you know about the Great Fire of London?’ The text has helped us to begin to begin to understand the events during the Great Fire of London. The children are eager to learn more about the event. We are coming to the end of our first half term in Year 2. The children have been working very hard and have learnt so many new things already. How are the children getting on with the reading challenge? 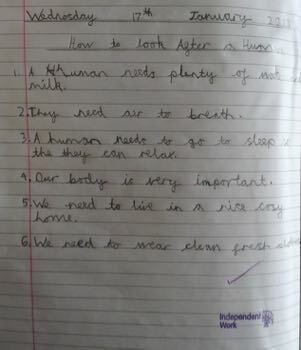 Remember children must complete book reviews. 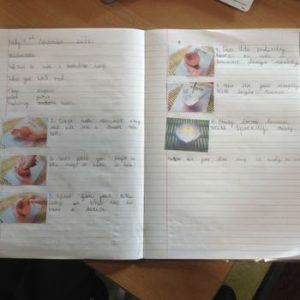 These can be found in the Home Reading Journals. 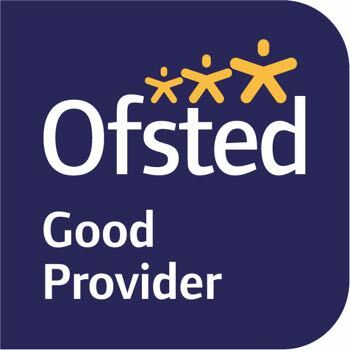 Parents’ evening is on the 17th and 19th of October so we hope you have booked appointments with class teachers. If you have any problems with the time given, please discuss with your class teacher. They are more than happy to accommodate. 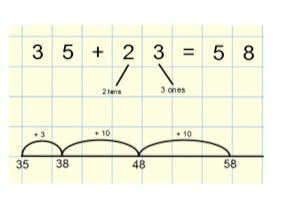 This week in Numeracy we will start looking at Division. We will be introducing division using the sharing concept. 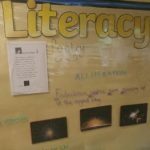 During our reading lessons, we have been reading a range of space themed stories. 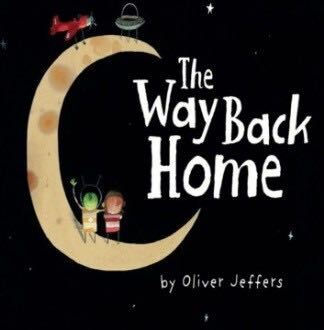 Here is an example of one of these called ‘The Way Back Home’ by Oliver Jeffers. Once there as a boy, and one day, he found an aeroplane in his cupboard. 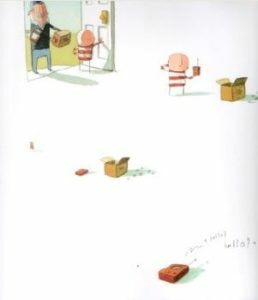 Oliver Jeffers very cleverly added a mystery page to the end of his story. We used this page to think up another story featuring the same characters. We have had an interesting couple of weeks in Year 2 so far this year. 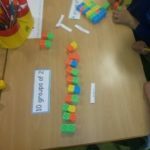 Over the last couple of weeks in Numeracy we have introduced partitioning and the Year 2 calculation strategy for Addition. The children have learnt how to use Number lines to count on in Ones and Tens. 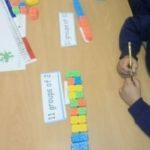 The Year 2 Teachers and Teaching Assistants have commented on how well the children have worked using the number line strategy. 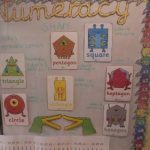 Most children can now draw their own number lines and count on and back. Next week we will be introducing subtraction on a number line. 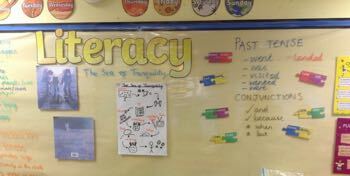 This week in Literacy, we started our three week Narrative unit. We will be reading a Space themed story called The Sea of Tranquillity by Mark Haddon. 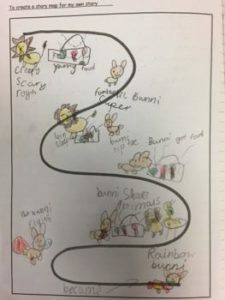 Our Year 2 children have really enjoyed reading this story. 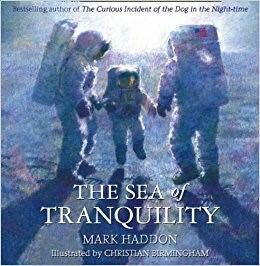 They particularly enjoyed the part where the little boy imagines himself walking with the Astronauts. Through this story, we will be unpicking the little boy’s character and discussed his appearance and personality. 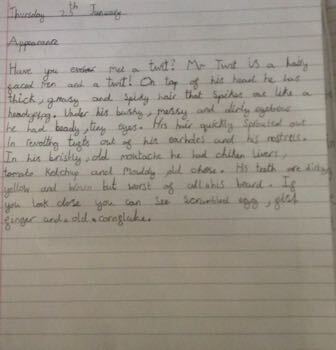 Children will be writing some character descriptions – We are looking forward to reading some fab pieces of writing. 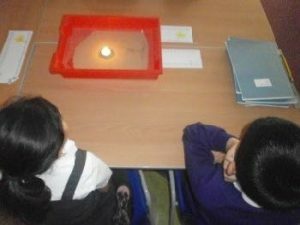 Science in Year 2 has been really exciting! The children are learning about different materials and their properties. 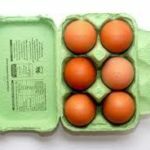 They know now why certain materials are used to make certain items and are able to clearly explain why.